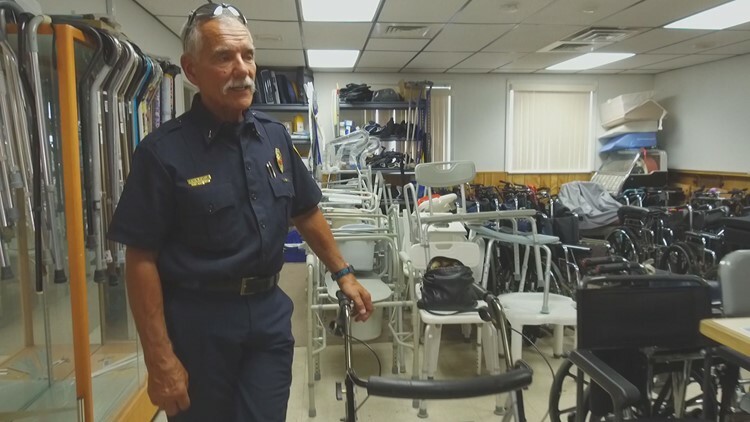 Dave Matus, not only serves the community as a firefighter, but also provides wheelchairs, walkers and other medical equipment for free to those who need it. Arvada, Colorado — Dave Matus, an Arvada Fire lieutenant, not only serves the community by fighting fires, but continues to give to the community in his side job, as well. Matus got a hip replacement, previously, that required him to buy various medical equipment that he thought he would need during recovery. Many people usually sell their medical equipment once there is no use for them, but Matus thought otherwise. "I didn't want to sell it. I didn't want to have a yard sale, this was the perfect place to put it," Matus tells 9NEWS. "This" refers to Dave's Locker, as he calls it, located at the the old Fire Station 7 in Arvada. According to Matus, over 150 pieces of medical equipment are stored, and ready to be used for free by people in need of them. 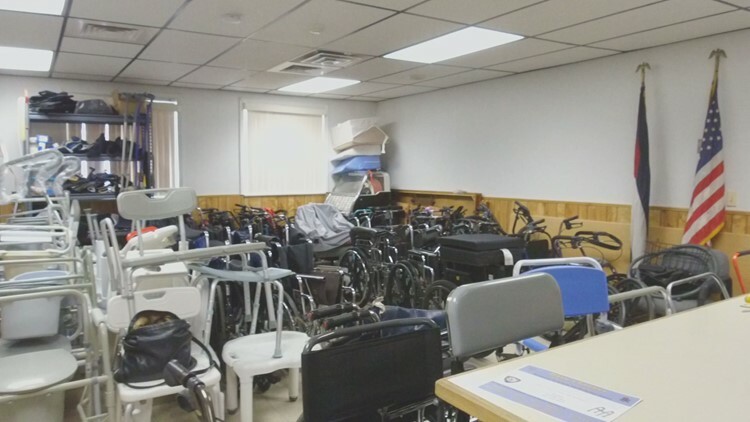 Matus realized there was a large need for medical equipment in the community and already has served hundreds of people by loaning them wheelchairs, walkers, canes, and other medical equipment that has gathered. "The first person that I dealt with was a mom that her son had double femur fractures," Matus said. "She came in, got all the equipment that she needed, and she went out of here crying." Matus' stored equipment has been proven to be a necessity in the community by the number of requests he gets daily. "I get more calls. Every day, I get five to ten calls of people needing equipment," Matus said. In the first eight months he began loaning equipment, he served 124 people and loaned out 212 pieces of equipment. In the first four months this year, Matus has already served 130 people, surpassing the number of people he served when he first began. Pictured: Dave Matus in front of the medical equipment. "It keeps me going and if I retire in a couple years, this, I think, will be my retirement job," Matus said. We're thankful for people like Matus who continues serving the community and plans to even after he retires. 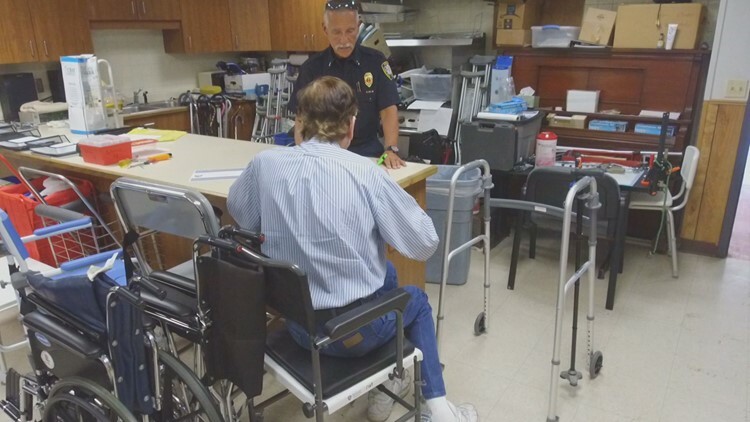 If you know of someone who is in need of medical equipment, have them call the Arvada Fire Department at 303-424-3012.